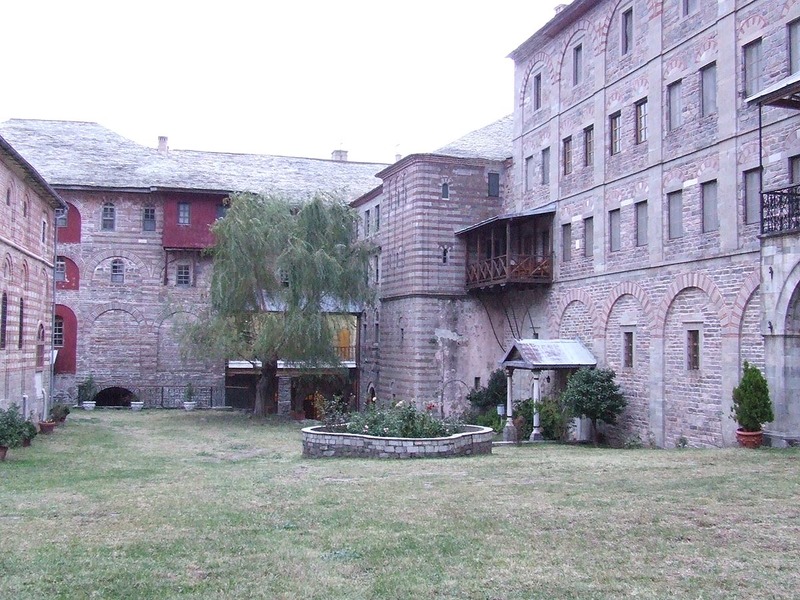 The Monastery Xiropotamou celebrates the Forty Martyrs on the 9th of March. 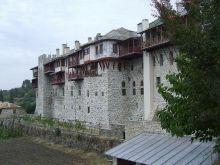 It was founded -during the take over- in 424 from the empress Pulcheria, wife of Emperor Marcianos. 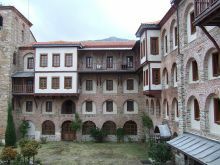 The most probable version regarding its construction is that it was founded at the end of the 10th century by the monk Pavlos Xiropotaminos, who was the first ruler of the monastery and was one of those who signed the first Document of Mount Athos, the 'Goat'. 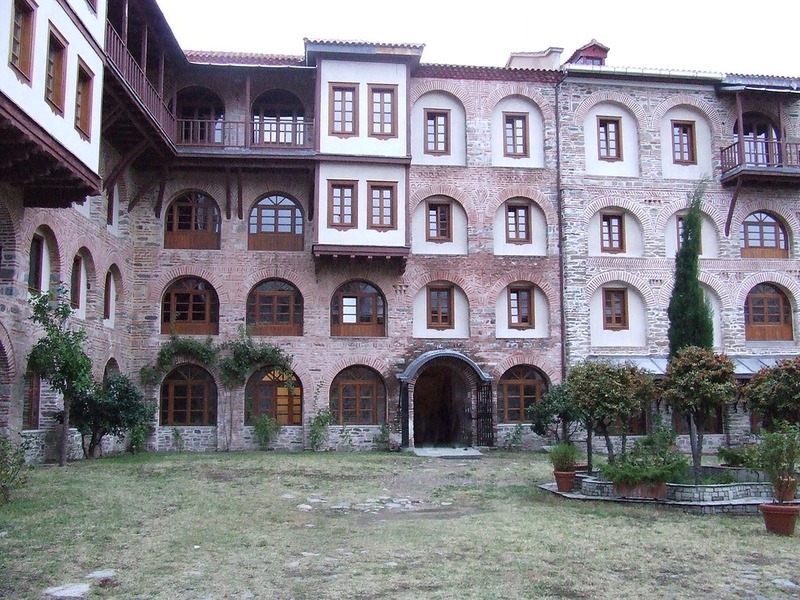 The Monastery Xiropotamou is located in 200m altitude from the sea, east of thee Agios Panteleimonas Monastery and west of Simonos Petras Monastery. It is a half-hour walk on foot from Daphne through a narrow unpaved road, 11 kilometers long, which unites the harbor with Karyes and it is 2 hours away from there. 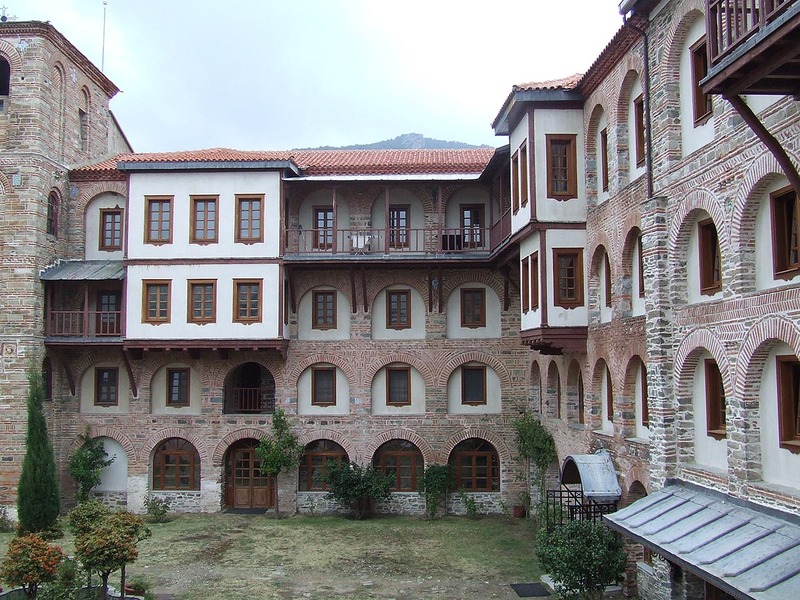 It is the 8th in hierarchy among the monasteries of Mount Athos. 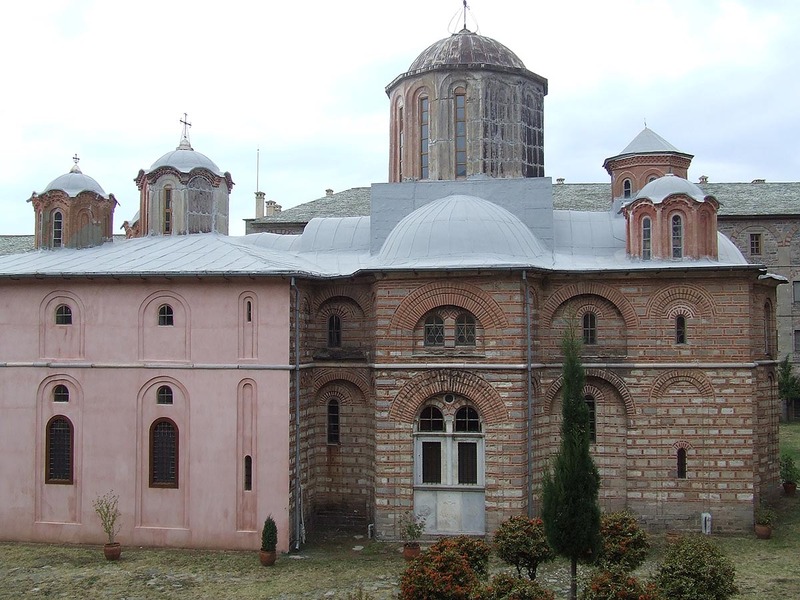 The Monastery flourished in the 11th century with resources allocated by Byzantine emperors. The prosperity continued until the beginning of the 13th century. 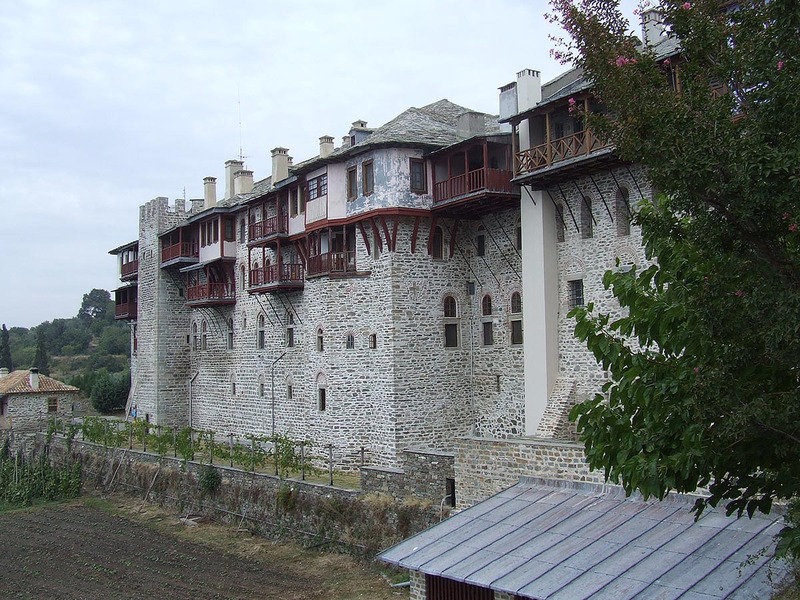 It was reinforced financially by the Emperor Mihael Paleologos VIII. 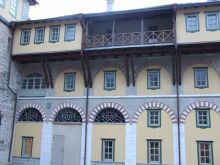 In 1280 after a fire which destroyed almost all buildings of the monastery the emperor Andronikos II Paleologos allocated the financial resources for the construction of the Monastery offering significant donations and this is one of the reasons why he is considered as one of the new owners of the Monastery. Large sums of money were offered by the kings of Serbia during the 14 -15thcentury used in building high defensive walls and tower capable to deal with fires. 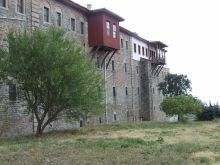 In the 16th century there was decline and it gave the 5th position it held by then to the Monastery of Dionysios. In 1507 it was burned but it was rebuilt with the help of the monks and economic aid from Sultan Selim I who undertook the construction of the monastery from the ground after a dream he had of 40 martyrs appearing in the shape of soldiers pledging to help him defeat his enemies, as a reward for reconstructing the Monastery. 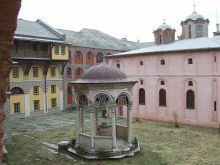 In 1760 the Monastery flourished for a period when economic aid was offered by the ecumenic patriarchs Timotheos II and Methodios I. 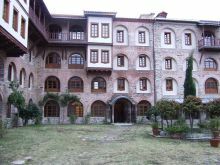 Of the most important offers was that of Caesarios Daponte who thanks to his many travels he managed ato gather considerable sums in favor of the Monastery Xilopotamou. Outside and inside of the monastery there are still 16 chapels, 5 of which feature murals. 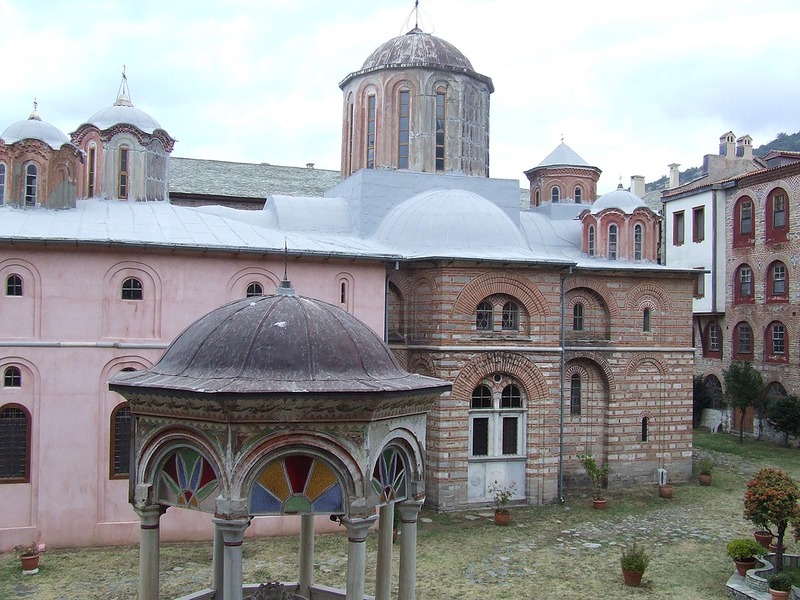 The Katholikon is commemorated on the 9th of March on the celebration of the 40 Martyrs. It was built in 1761-1763 with the help of Daponte. 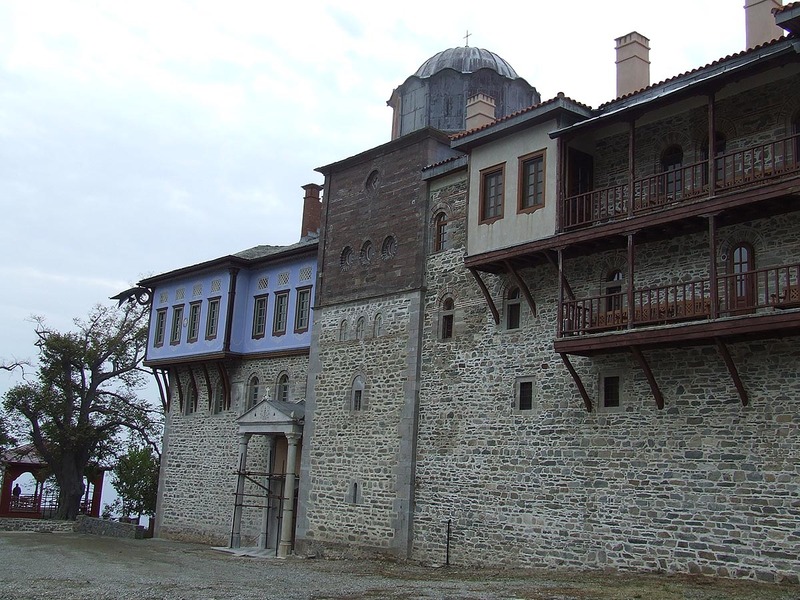 The murals were painted in 1783 by hagiographers Konstantinos, Athanassios and Naum from Koritsa. 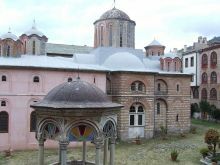 In the Katholikon there is the inscription which was invented by Daponte in the 18th century, engraved next to the two headed eagle, which indicates the year 6438 from the creation of the world, namely the year 930 in accordance with our own calendar system. 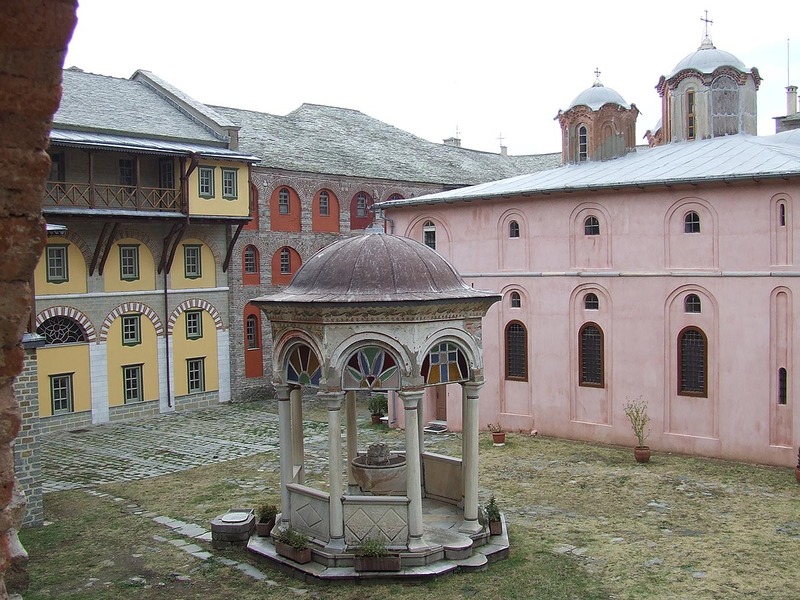 The stoup of holy water from purple marble which is located in the courtyard next to the Katholikon was built during the period of Daponte (1783). The murals of the Prothesis, which was built with money of the Wallachian ruler Alexandros, were painted in the mid 19th century by the hagiographers Sofronios and Nikiforos from the Sketi of Agia Anna. In the library, which is housed over the narthex, there are 409 manuscripts including 20 parchments and over 4,000 printed books. In the Monastery Xiropotamou there is the largest part of the Holy Wood in Mount Athos. 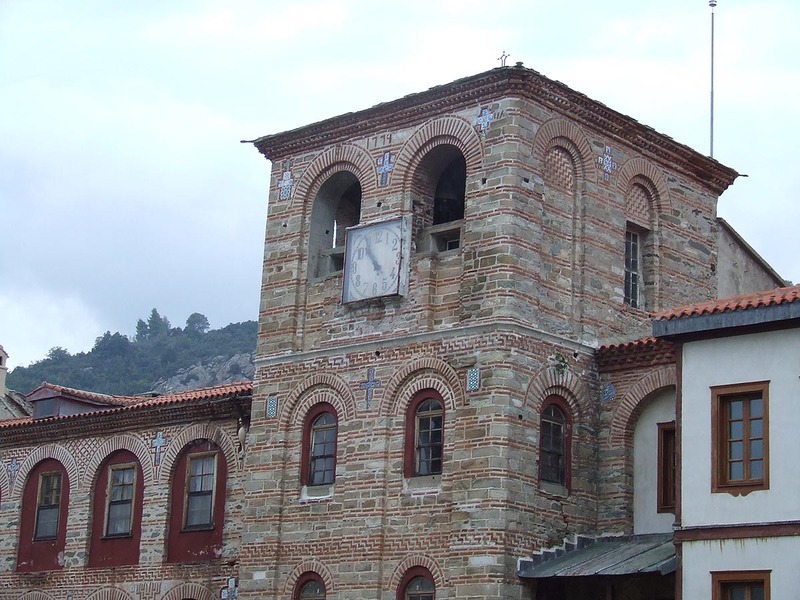 Because this part of the Holy Wood bears the hole from the nails of Crucifixion, the Monastery also celebrates during the celebration of Timiou Stavrou. Apart from this most holy relic, the most valuable work of art is undoubtedly the steatite disc of Pulcheria, a gift from the empress herself. In the sacristy there are also the sacred relics of the 40 Martyrs and 4 bishops, rods of amber and also several filigreed gold canonicals and functional utensils. 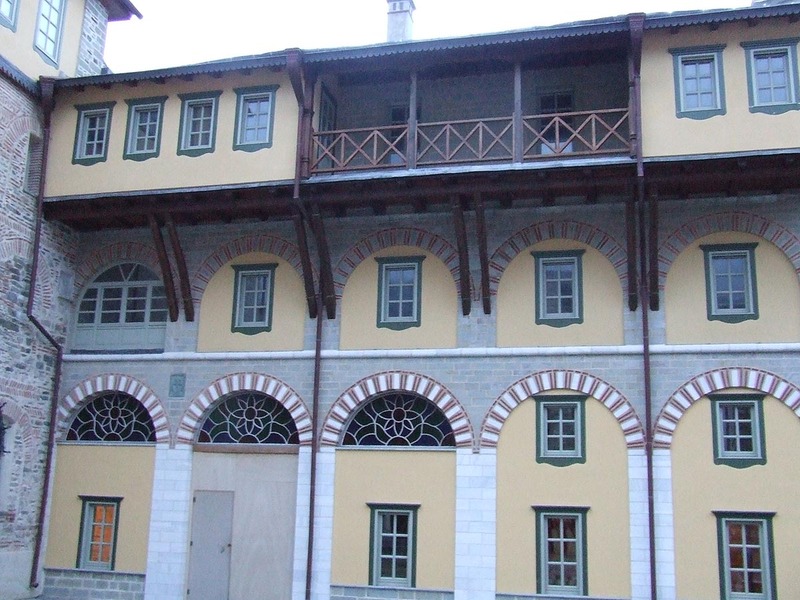 Finally there are 200 portable pictures which are located in the Katholikon of the Monastery. Guests should visit the Katholikon with the murals of 1783, the unique extant model of the Katholikon and in the sacristy the disc of Pulcheria. 09:00 p.m. - 16:00 a.m.